The World Health Organisation announced once again this year that for both men and women, the Japanese live the longest in the world. Right now it’s planting season here in Japan, when the rice seedlings are laid out in neat little rows across the paddy fields. At this time of year all across the country, elderly (and some younger, of course!) men and women are out in the fields, working. For us Japanese there is nothing unusual about paddy fields, but for visitors seeing the fields filled with water, so the land become like a huge mirror lake, must be quite strange. 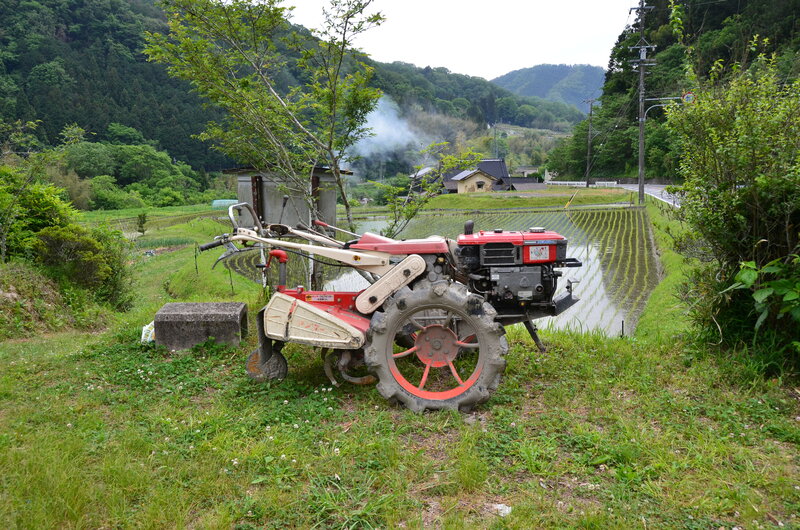 Most farmers in Japan work rice fields and vegetable patches on very small areas of land. The fields are their own, but the water that is so vital for growing rice is shared and managed by the whole village. In the countryside, the streams that run down the mountains into the paddies are blocked off during the winter and carefully maintained, and when it comes time for planting, the village farmers will agree a date between them to flood the fields. This kind of traditional communal work is known as ‘yui’ in Japanese, and still exists in the management of the all-important water. And of course, rice is the most important ingredient in almost all Japanese flavourings (soy sauce, miso, vinegar etc – they all use rice koji for fermentation) and sake, too, so this time of year is when everything begins! I don’t why, but the elderly men and women in the countryside so full of life! There are still lots of older people who grow their own rice and vegetables, and no doubt much of the secret to a long, healthy life is in the food. And as well as that, there is so much physical work to be done everyday to keep you fit, cutting grass, growing rice and vegetables, making charcoal… but then that’s the same in the countryside all over the world. So I guess the secret to a long healthy life really does lie in the rice, fermented foods and carefully maintained water that are the basis of Japanese food? Whatever the reason, we are blessed to be surrounded by such wonderful natural resources. 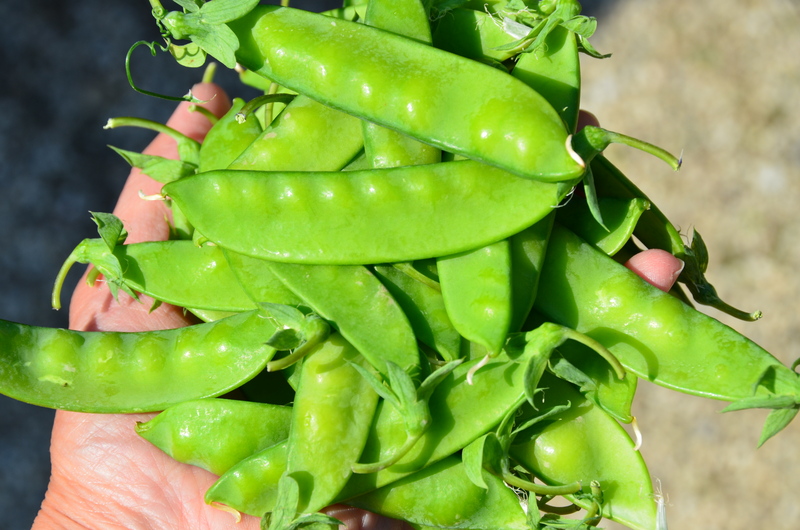 Now it’s time for a bowl of rice for lunch, with some of the freshly picked snap peas my 94-year old neighbour brought me this morning!